Istanbul has always been an important city since the day it was founded as an Ancient Greek City in 638 B.C. Following its declaration as the co-capital of the Roman Empire, the rise of the city grew quicker. Istanbul is named as the “The Capital of Empires” thanks to its feature as the capital of three big empires, the Roman Empire, the Byzantine Empire, and the Ottoman Empire. It may take weeks to explore Istanbul thoroughly. Let alone the visitors coming here to explore the city from outside, even the locals who live in Istanbul for years don’t know many places in this old city. Let’s try to have a look at the best places to visit in Istanbul for the visitors who would like to discover this amazing city. The must-see places listed in this post are the main locations that you can visit in 4-5 days. The main reason why Hagia Sophia is on the top of our list is its more than 1,500 years of history and importance. Hagia Sophia was built in 537 by the Byzantine Emperor Justinian. Hagia Sophia was the biggest sanctuary in the world for more than 1000 years since it was built. It served as a church for 900 years and 500 years as a mosque. However, there are some more things that make Hagia Sophia special. As the techniques that were applied to build Hagia Sophia were way beyond the Middle Ages, nothing better could be built for ages. Therefore, this great temple became the source of various legends. Almost every corner of Hagia Sophia is special in some ways. If you would like to gain a deeper knowledge about Hagia Sophia you may browse Architecture, Mosaics or Facts blog posts. Topkapi Palace began to be built in 1461 after Istanbul was captured by the Ottoman Empire. The construction of the palace took 17 years and it was opened in 1478. Contrary to the main belief, Topkapi Palace and its Harem Rooms were not built at the same time. The palace was designed as per Sultan Mehmed‘s (The Conqueror) request as a place where state affairs could be managed as well as functioning as barracks and that’s how it stayed for a long period. With the beginning of Hurrem Sultan‘s influence on Suleiman the Magnificent, the Harem where the Sultan’s family resided moved to Topkapi Palace. Blue Mosque attracts a lot of visitors as it is in the touristic center of the city. However, it’s not the biggest mosque of Istanbul contrary to the belief. The most important feature of Blue Mosque is that it is decorated with the highest quality Iznik Tiles. The foreign visitors under the influence of these blue tiles named Sultanahmet Mosque as the Blue Mosque. The construction of Blue Mosque started during Ahmet I’s reign and it was finished in 7 years. (1609-1616) Sultan Ahmed didn’t have the time to enjoy his work as he died when he was just 28. 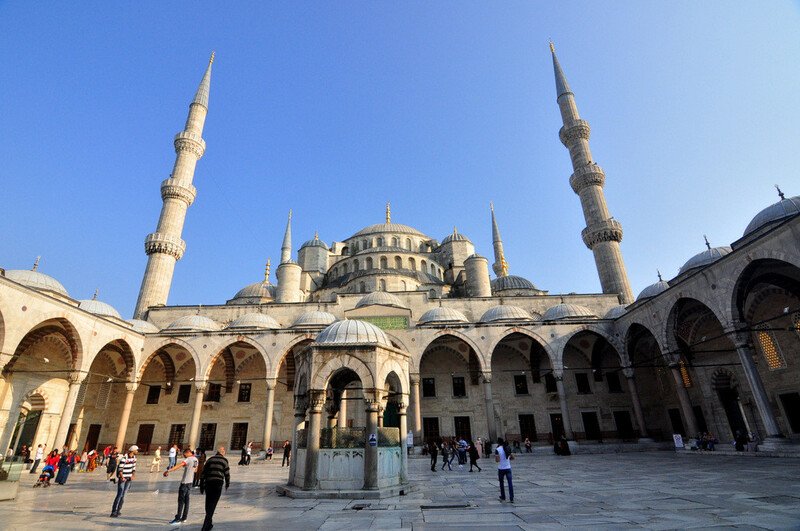 Turkish Islamic Arts Museum is next to Blue Mosque and it’s one of the places worth visiting. Here, you can find some historical works that explore the roots of the Turks from Central Asia to Anatolia. A lot of ancient Turkish Carpets from the Seljuk Turks, the father of the Ottomans, are still displayed in this museum. Moreover, various works from the Caliphates period attract attention, especially of Muslim visitors. Basilica Cistern was also built by the Byzantine Emperor Justinian as Hagia Sophia. Byzantine Empire was known as the “Eastern Roman Empire” and it was one of the longest lasting empires (1000 years) in the world. Basilica Cistern was built as the main cistern to provide water to the Great Palace and the state’s administrative offices at Sultanahmet area. As the city was under siege quite often, it was mandatory to stock water and keep it for bad days. Therefore, a lot of cisterns of various sizes were built under the ground. Basilica Cistern is the only cistern today that can be visited as a museum. However, Bindirbirek Cistern can also be visited provided a special permission is granted. 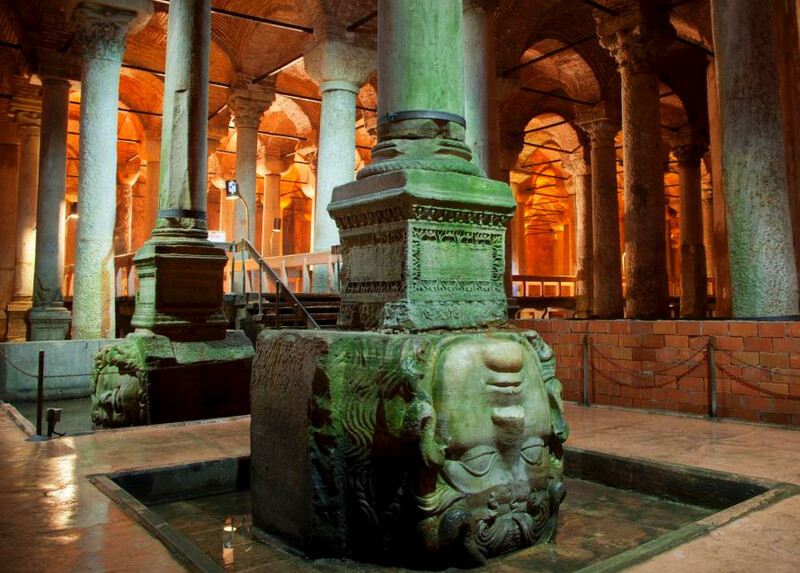 Note: Serefiye Cistern has been opened recently in Sultanahmet area, as the second cistern-museum. Grand Bazaar is a traditional bazaar and a combination of a lot of independent bazaars that evolved into a single one in hundreds of years. There are many different sections, 67 streets and more than 3000 shops in Grand Bazaar. It’s impossible to walk inside the bazaar without a map due to its huge size. 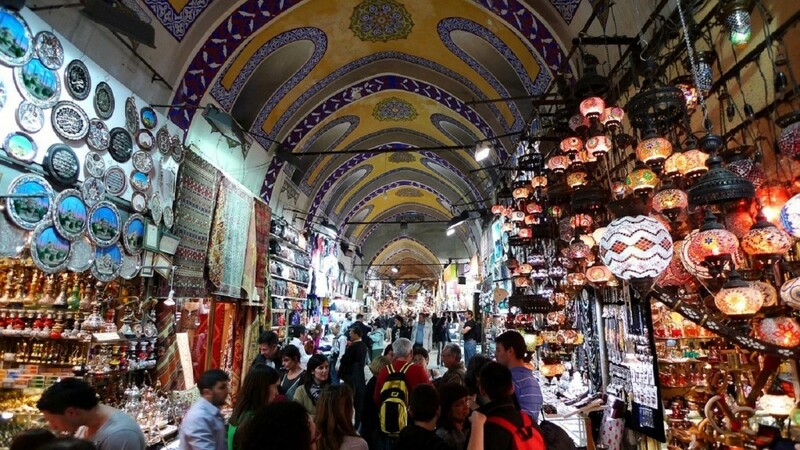 It’s inevitable to get lost if it’s your first time, but the fun part of being in the Grand Bazaar is to get lost. There are various entrances and exits of the Grand Bazaar. The main entrance is the gate number 1 on Nuruosmaniye Mosque side and the main exit is the gate number 7 on Beyazit side. The street that lies between these two gates is Kalpakcilarbasi Street and it’s regarded as the main avenue. You are advised to keep the direction of this main avenue in mind in order to find your way around the Grand Bazaar. If you would like to improve your bargaining skills, you may want to read Grand Bazaar Shopping article. We mentioned above that Blue Mosque is not the biggest mosque in Istanbul. Suleymaniye Mosque, built by the Ottoman’s most famous architect Mimar Sinan, is the biggest mosque of Istanbul. It was built in the name of Sultan Suleiman the Magnificent who is regarded as the greatest Sultan of the Ottoman Empire. 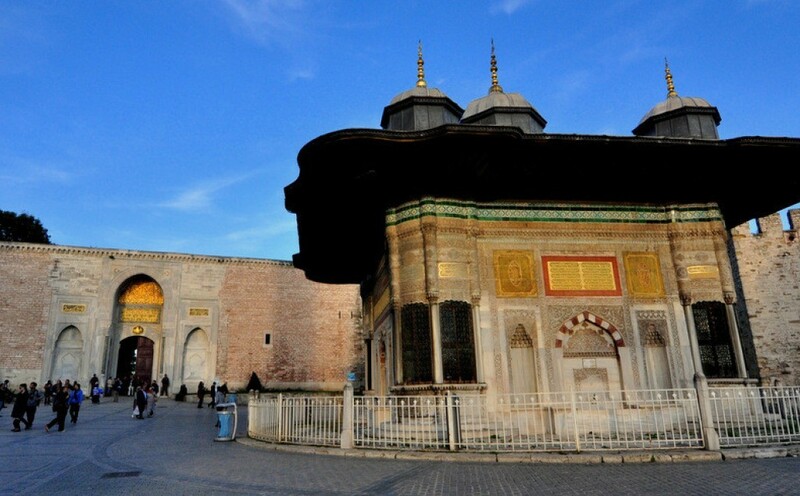 Sultan Suleiman and his wife Hurrem Sultan’s tombs are in the yard of this mosque. Suleymaniye Mosque oversees the Golden Horn and the Bosphorus. Therefore, the sea view from its outer yard is amazing. Both the mosque’s yard and interior were designed in a simple way, but it is huge in terms of its size. 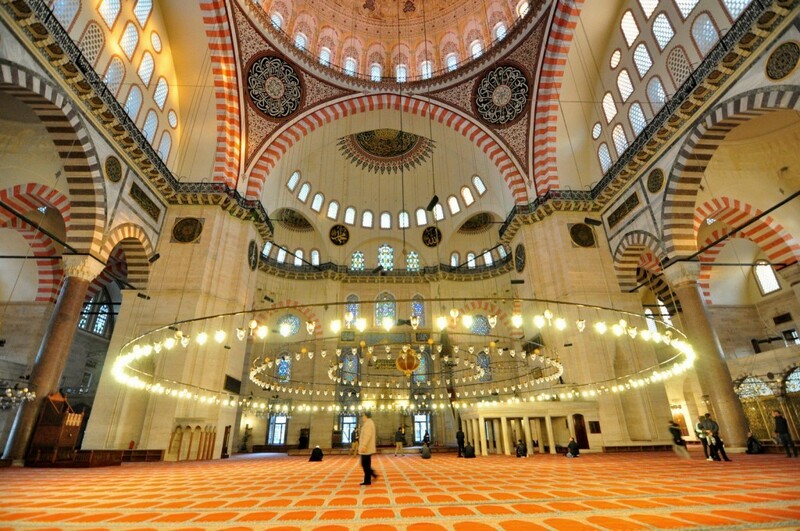 Suleymaniye Mosque is one of the top historical places to visit in Istanbul to enjoy the Ottoman architecture. The Ottoman Empire had lands that stretched out like a bridge between the East and the West. The most important trade routes of the past, the Silk Road and the Spice Road would pass right on the Ottoman Empire’s lands and this richness enabled the Ottoman Empire to stay alive for ages. The silky fabrics from China and the spices from India would be shipped to Egypt via the camel trains and the ships would bring them to Istanbul. These valuable goods would be exported to Europe via the Genoese and the Venetians that had colonies in Istanbul. And some parts of these trade goods would be displayed and sold to the public at this bazaar, which resulted in the bazaar being called the Spice Bazaar. The Spice Bazaar is located in the heart of Eminonu (hub of the Old City) next to New Mosque. The bazaar still attracts lots of domestic and foreign visitors today. It’s hard to even walk in the bazaar on weekends due to the crowds flocking into the bazaar to do shopping. Mimar Sinan called this mosque as his “traineeship work” later. This mosque also gave its name to the neighborhood it is located in. The most important feature of Unkapani is that it houses Ataturk Avenue that divides the Istanbul Historic Peninsula into two. On one side of this avenue, there is Vefa, famous for its boza (local winter drink), and Zeyrek lies on the other side of the avenue. 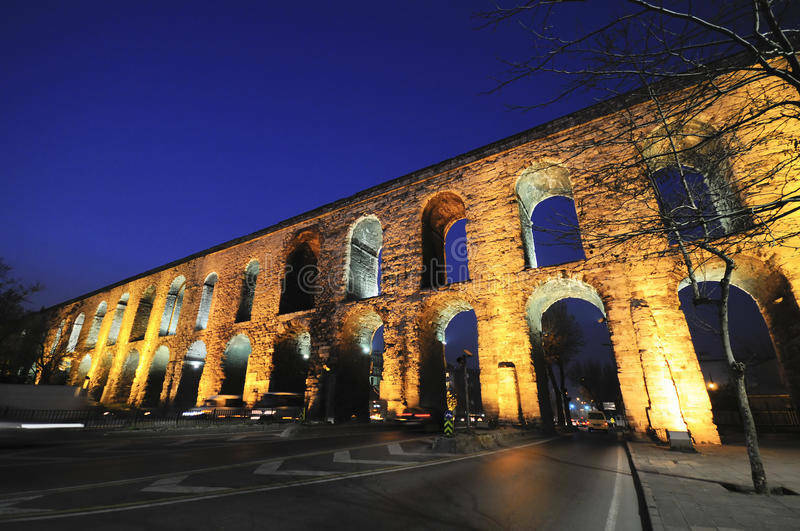 You can also visit Valens (Bozdogan) Aqueduct, the Roman Emperor Valens’ work, that carried water to Istanbul for ages where Sehzadebasi neighborhood meets Ataturk Avenue. Zeyrek was one of the most important neighborhoods during both Byzantine and Ottoman eras. There is an old and huge church in this neighborhood that is called the “Monastery of Christ Pantokrator” where the emperors who were the members of Komnenos Dynasty of the Byzantine Empire were buried. The church was converted into a mosque during the Ottoman Empire and it was renamed as the Zeyrek Mosque. It’s one of the most valuable historical structures that should be visited in Istanbul. Emperor Constantine, the person that built Istanbul as the second capital of the Roman Empire and named it as Constantinople, was buried inside a tomb named the Church of the Holy Apostles. After the conquest, Sultan Mehmed the Conqueror demolished the church as the number of its visitors dropped dramatically in addition to security problems. Fatih Mosque, where Sultan Mehmed is also buried, was built where the church stood once. Fatih Mosque is an impressive mosque right in the heart of Istanbul Old City. Panorama 1453 Museum is not far from Fatih Mosque and it depicts the fall of Constantinople with various images. The conquest of Istanbul is explained at Panorama 1453 Museum to the visitors in an informative way. Cibali, Fener, Balat, and Ayvansaray neighborhoods are located on the eastern side of the Golden Horn and each of them is unique in their own way. It’s possible to visit all of these neighborhoods with a walk starting from Kadir Has University in Cibali Neighborhood. This activity is important in becoming familiar with the multi-cultural and the colorful life in the Ottoman Empire era. It’s clear to the eye to observe how the Jewish, Christians and Muslims lived side by side in peace just by looking at the mosques, synagogues, and churches that are lined up one after another on the same street. You may find more information on Fener Balat Walking Route blog post. The scenes from the Bible decorates the walls and the ceilings of the museum. Virgin Mary’s life is depicted on the inner hall while the birth and life of Jesus Christ is depicted on the outer hall. This mosaic series made in the 14th century is literally unique. 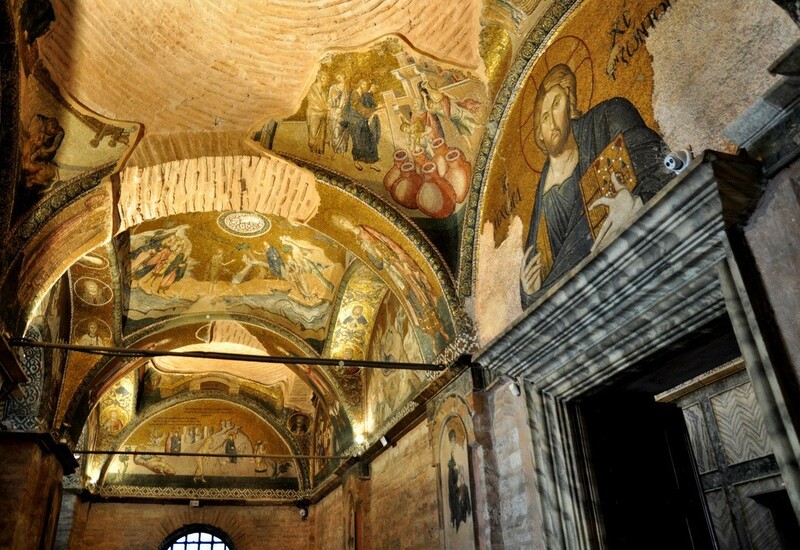 Chora Church is one of the best places to visit in Istanbul in term of religious history. You may also check Byzantine Monuments in Istanbul post about this topic. Eyup Mosque was built where Ebu Eyyub Ensari Halid bin Zeyd, one of the important companions of Prophet Mohammed, is believed to be buried. This mosque was built in the 15th century following the conquest of Istanbul. Its size is small compared to the mosques built by the Ottoman sultans or their wives, but it’s beautiful and impressive in terms of architecture, nevertheless. It’s regarded as the holiest mosque of Istanbul due to the name it derived from. 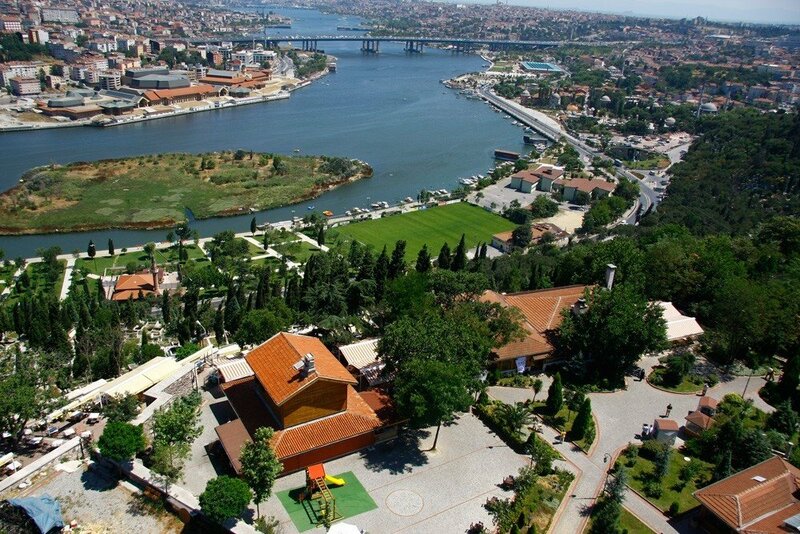 Pierre Loti Hill is the most popular place to visit apart from Eyup Mosque in Eyup neighborhood. The French poet Pierre Loti lived in Istanbul during the late Ottoman period and loved this city. The rumor is that he would write his poems on this hill while watching the Golden Horn and Istanbul. It’s a fun activity in Istanbul to get to the hill via the cable car and enjoy the breathtaking view. It’s so easy to reach Miniaturk via Eyup road. This is an open-air museum where the models of Turkey’s most important historical places are displayed. A mini train carries the visitors from one side of the museum to the other and you can also see a huge model of the Bosphorus Bridge. This museum is one of the most ideal ones to visit with children when the weather is warm and sunny. Miniaturk is located at the end of the Golden Horn, in Sutluce neighborhood. 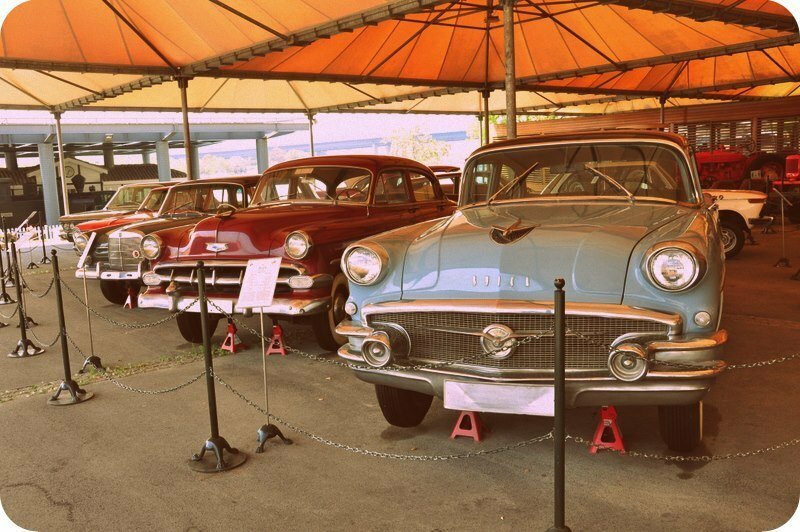 Koc Museum is located on the northern wing of the Golden Horn in Haskoy neighborhood. 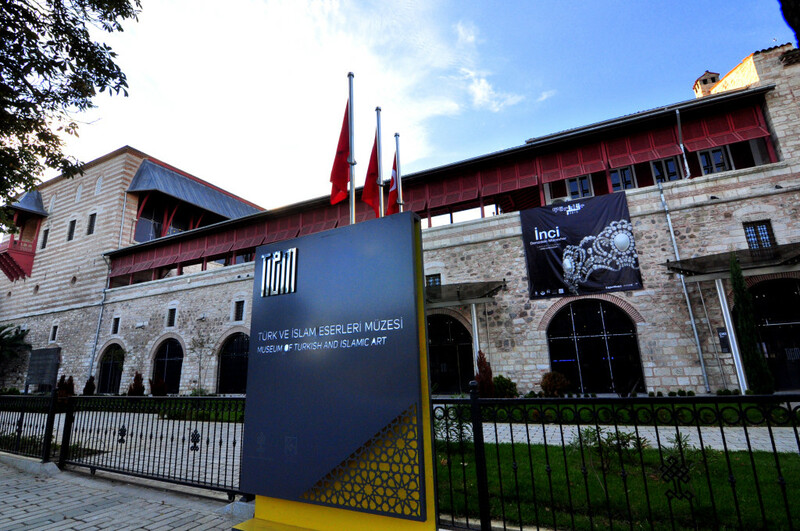 The museum is also known as Rahmi Koc Museum and it’s the first industry museum of Turkey. There are old radios, train models, boat photos, a car collection, an old public ferry and a submarine can be seen in the museum. It’s one of the most informative museums that you can visit with children. The Venetians and the Genoese are trade colonies that left their marks in the history of Istanbul. These Italian sailor tradesmen were granted privileges both by the Byzantine and Ottoman Empires and they exported the goods from the Spice and the Silk Road. Tons of silk fabrics, food and drink ingredients and even the Turkish carpets from the Anatolia were delivered to Europe thanks to the efforts of these skilled sailors. In the last years of the Byzantine Empire, the Genoese were granted special privileges and Galata neighborhood was allocated to these tradesmen. Encouraged by these privileges, the Genoese built this beautiful tower that overlooks the Golden Horn. Galata Tower became a spot where the firemen observed the city to take action against the fire during the Ottoman era. The famous Hazerfan Celebi jumped off this tower and flew over the Golden Horn. 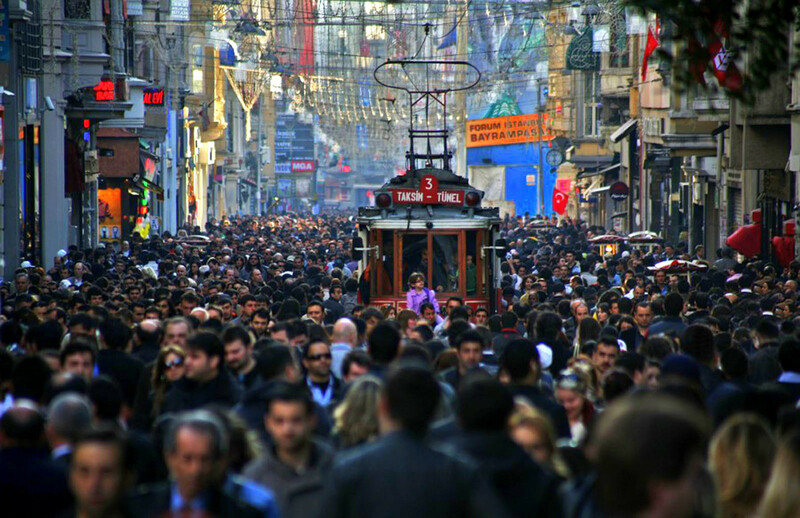 Istiklal Avenue which is in the heart of Beyoglu is the first place that comes to mind when talking about Istanbul. Istiklal was the most popular avenue of the city in the 19th century Ottoman era and it has still been the one since then. During the years when the Orient Express would bring the rich Europeans from Paris to Istanbul, the other name of the avenue was Grand Rue De Pera. 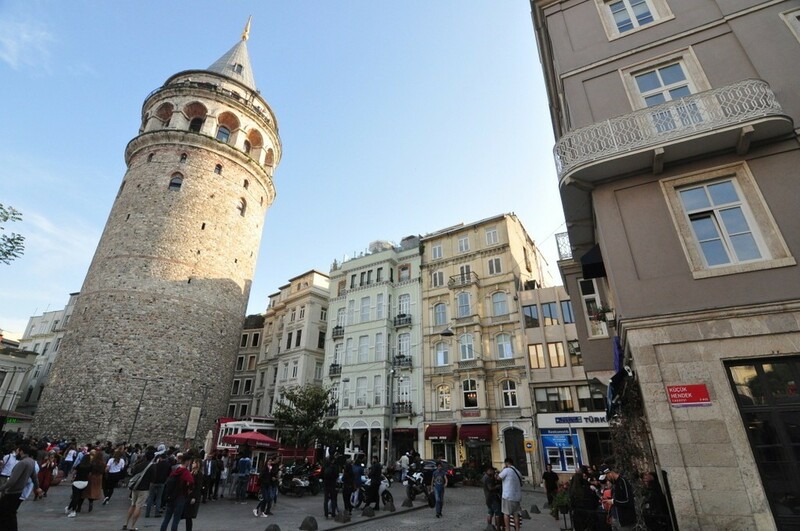 If you wish to take a walk at Istiklal Avenue, you can start your tour from Taksim Square and connect to Galip Dede Avenue and keep walking to Galata Tower. The main touristic attraction nearby Istiklal Avenue is Mesrutiyet Street, which is the heart of Pera. Additionally, Cukurcuma, famous for its antique shops and Cihangir that is famous for its cafes is another option nearby Istiklal Avenue. Beyoglu (commonly known as Taksim) and its surroundings definitely some of the best places to visit in Istanbul European Side. Topkapi Palace at Sultanahmet remained as the main palace from 1470 to 1870. However, Dolmabahce Palace built in 1856 by Sultan Abdulmecid’s order, served the same function in the last 70 years of the empire. Dolmabahce Palace was built by the palace’s architects, Balyan Family, in the 19th century according to the modern protocol rules and in a European style. Although some other palaces such as Beylerbeyi, Ciragan, and Yildiz Palaces were also built during the Ottoman’s last years, Dolmabahce Palace still functioned as the main palace of the empire that symbolized the state’s power and authority. Mustafa Kemal Ataturk, the founder of the Republic of Turkey and the first president of the country, gave his first speech in Istanbul in this palace. The palace is also where Ataturk passed away and his room can still be visited. There are many sections in Dolmabahce Palace and different type of tickets need to be purchased to visit specific sections. You should also note that Istanbul Museum Pass is not valid for this palace and you can check the Dolmabahce Palace Entrance Fee article to see the prices and visiting hours. Ortakoy is a small and cute neighborhood that the locals usually visit it on weekends. This neighborhood is located right in the middle of the Bosphorus and you can enjoy an amazing Bosphorus view in Ortakoy. Similarly, the travelers taking the boat tour on the Bosphorus can’t resist taking photos of Ortakoy neighborhood and Ortakoy Mosque. The actual name of Ortakoy Mosque is Buyuk Mecidiye Mosque and it was built by Balyan Family. 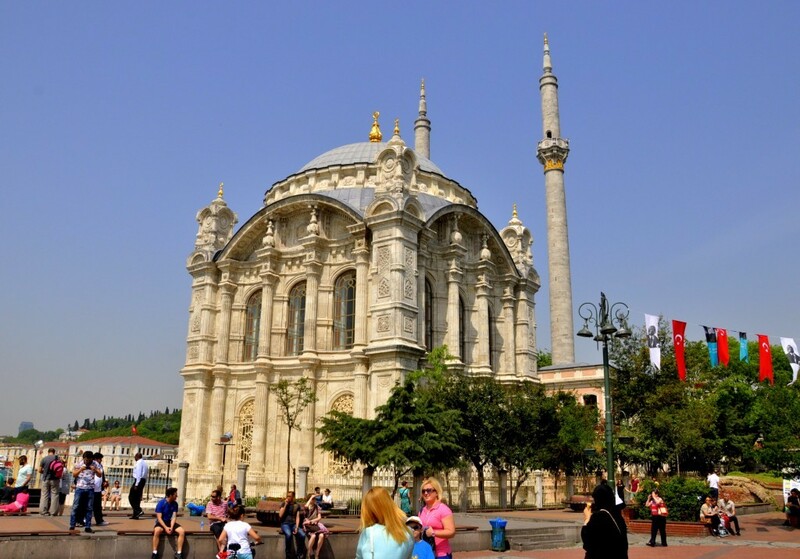 This mosque is like a pearl of the Bosphorus that greets the passersby. One of the most fun activities in Istanbul is taking a walk from Ortakoy to Bebek and taking photos. It’s such a joy to enjoy the best view of the Bosphorus by walking right next to the sea. Bebek is an amazing neighborhood that is famous for its cafés, restaurants, and parks where you can take a break at the end of this long walk. It’s definitely one of the coolest places to visit in Istanbul. It’s not possible to reach most of the places to visit in Istanbul via land. Therefore, taking part in a boat tour is the best way to see the great mansions, mosques, pavilions, and fortresses that are lined up throughout the Bosphorus. You can take such a tour via Sehir Hatlari Ferry or Turyol Bosphorus Tour Boat. Both of them leave from Eminonu Neighborhood. 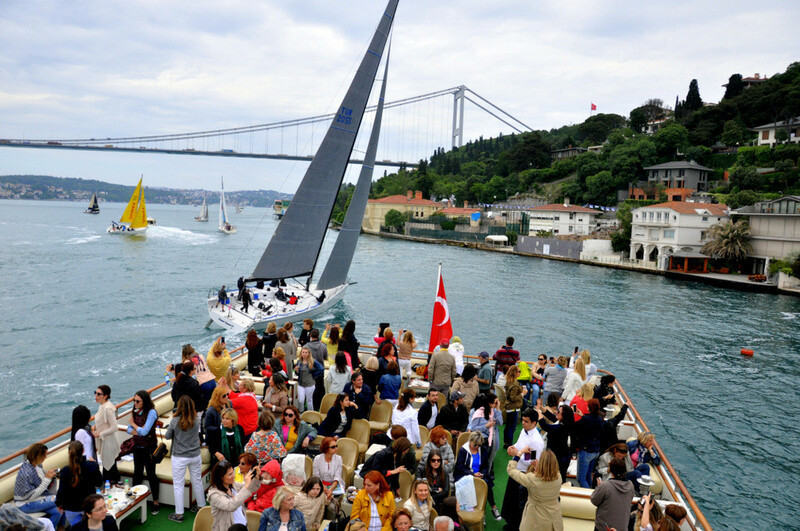 Bosphorus Cruise Ride is one of the must-do things in Istanbul. You can take great photos during the journey. Beylerbeyi is the neighborhood that offers one of the best scenes if you take a boat tour on the Bosphorus. Beylerbeyi Palace that was built during the Late Ottoman period and the elegant Beylerbeyi Mosque next to this palace is in this neighborhood. 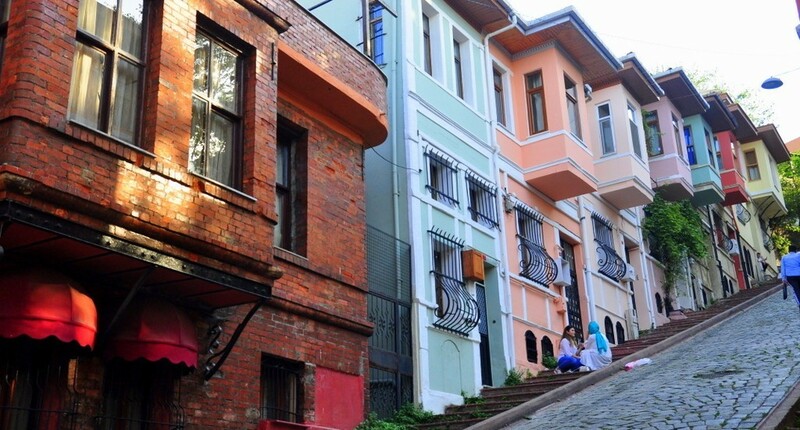 Cengelkoy, on the other hand, stands out as one of the cutest neighborhoods in the Bosphorus. This neighborhood has been home to many old Turkish TV series due to the warm atmosphere it offers and Cengelkoy is famous for its Cinaralati Café and ages old plane tree. Uskudar attracts the biggest attention thanks to its historical structures. One of the mosques that Mimar Sinan built for Sultan Suleiman’s famous daughter Mihrimah Sultan is in this neighborhood. During a walk from the coast of the neighborhood to Harem direction, the unique view of the Bosphorus can be seen and it should definitely be experienced. The Maiden’s Tower from the Byzantine era is one of the symbols of Istanbul and it’s also located in Uskudar. 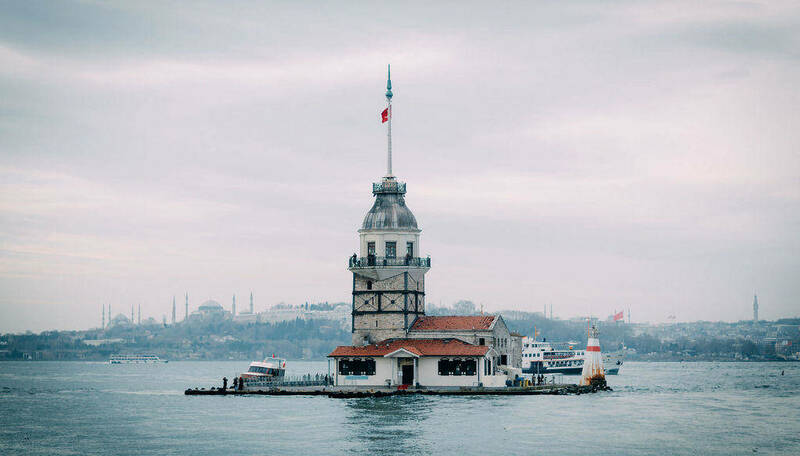 In order to reach the Maiden’s Tower, you can take a boat from Salacak coast and visit this historical building that serves as a café during the day and as a restaurant in the evening. Maiden’s Tower is definitely one of the most beautiful places to visit in Istanbul for couples. Kadikoy is the biggest neighborhood that can be visited on the Istanbul Asian Side. You can visit the Kadikoy Fish Market that is close to the Kadikoy pier. The bazaar’s historical structure has been preserved well and it’s still one of the favorite places of both foreign and domestic visitors. If you wish to dine, you can try a restaurant named Ciya Restaurant inside Balik Pazari (Fish Market) and enjoy delicious Turkish kebab cuisines. 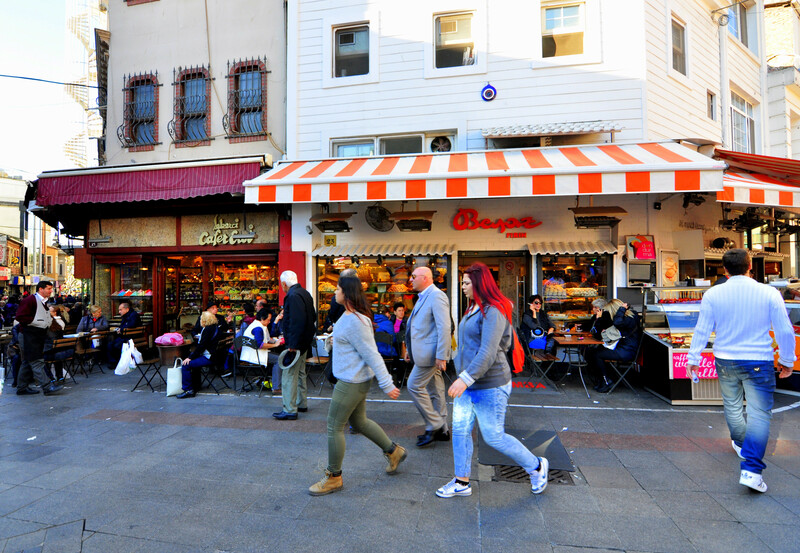 Additionally, some dessert shops dating from the Ottoman era, such as Ali Muhittin Hacibekir, Sekerci Cafer Erol and, Baylan Pastanesi (Baylan Bakery) are also nearby the market. You can go to Bahariye Avenue from Kadikoy and take a tour on this avenue that is called the Istikal of the Anatolia side. You can also visit Moda neighborhood at the end of Bahariye Avenue. The tea houses and the pier are really worth seeing in Moda neighborhood. If you have time, you can also visit Bagdat Avenue (Bagdat Caddesi) the biggest and most developed walking and shopping area. Kadikoy Neighborhood is the best place to visit in Istanbul Asian Side to experience the local life. The Princes’ Islands are first choice for the locals to escape from the city life. Taking a cart ride at Buyukada and lighting a candle at Aya Yorgi Church are the must do things. Moreover, there are really beautiful streets to take a walk or ride a bicycle on. The architecture of Buyukada is really brilliant and it boasts wide and spacious streets. Heybeliada, on the other hand, is an island that offers various nice cafés and restaurants and it definitely offers a cool atmosphere. 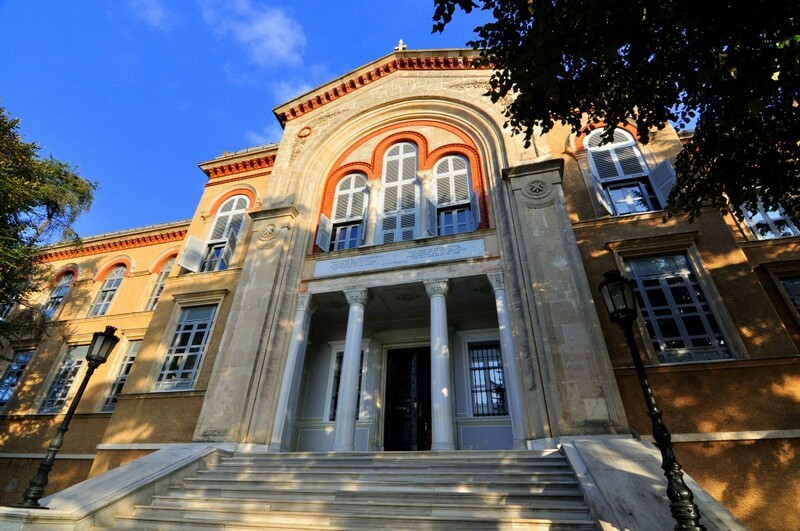 On the top of the island, the Theological School of Halki (Greek Orthodox School) is situated. The school is not in service today, but you can still visit the front yard of the school and watch Heybeliada from the top of the island. Burgazada is also a fun island where you can also visit the house of a famous Turkish poet Sait Faik Abasiyanik and the house serves as a museum today. Compared to Buyukada, Burgazada is a lot quieter and you can take a nice walk around the island and observe the Turkish architecture on this cute island. 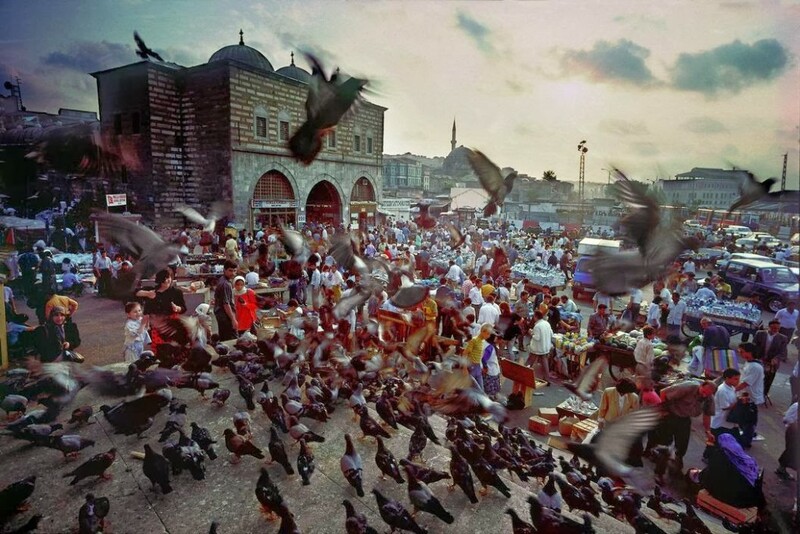 This is the end of our post regarding the best places to visit in Istanbul. No doubt, there are many other historical sites to visit in Istanbul. It can be called a hobby to explore Istanbul in details which is an endless road. I love İstanbul! Thanks for sharing. Hello Joshua, Thank you for your kind review. Wow!! Very informative, we’re visiting Istanbul for the first time next month. This has been extremely helpful, thank you for sharing! Hello Karen Hudson, thank you very much for your great review! I hope you will enjoy your upcoming visit to Istanbul! I hope you will enjoy it brother. Istanbul is perfect in April. Best time to visit!